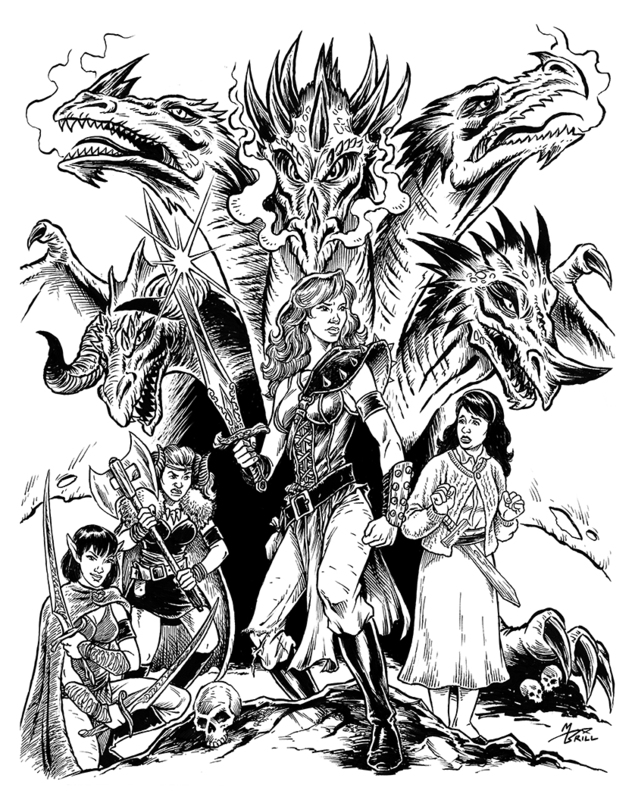 THE BRILLUSTRATOR: She Kills MONSTERS! 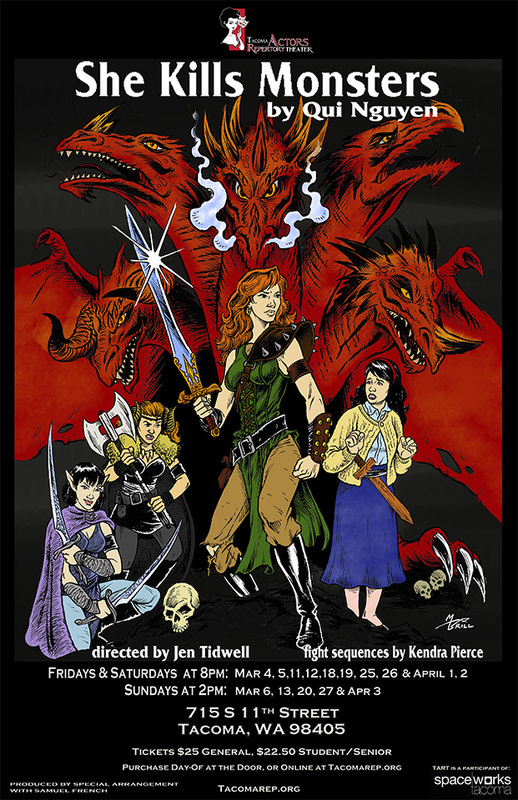 I recently did a poster illustration for a play called "She Kills Monsters" for a local theater group called TART (Tacoma Actors Repertory Theater)! I only did the ink drawing, because anything else would have put it out of their budget. They seem to have someone on staff to set up the layout and text for the posters and presumably that person also did the color work. I'm posting them both together here. It was great to work with a theater group again. The last theatrical poster I did was for The Fantastiks, a production that not only was I in, but was 20 years ago! That was the last time I performed on stage, because although I'd been heavily involved in theater during high school (for lack of any kind of visual arts program! ), I realized that the theater was just not my calling. But I still get the bug to be involved in theater from time to time. Maybe I'll audition for a character part in a local stage production again one day. In the meantime, it's great to at least brush the diaphanous edge of that world again, even if only as an illustrator. Anyway, since the play is based on a Dungeons & Dragons type scenario, the director (Jen Tidwell) especially liked the fact that I had done Magic: The Gathering cards. Once again, WofC lends me some fantasy art street cred!